Update your playlist, tighten your laces, and loosen your hamstrings, because it’s time to #RunBigStar! And, if you’re an innovator, entrepreneur, or visionary, don’t miss Inspire Frisco’s monthly IF Talk. All of this and more… This Week in Frisco! Looking for Egg Hunts, Photos with the Easter Bunny and other Easter Fun in Frisco? Click here! FISD School Board Meeting: 7:30 pm – 10:00 pm at Frisco ISD Admin Bldg, Board Room. A regular meeting of the Frisco ISD Board of Trustees. The Board will immediately go into closed session and resume open meeting at 7:30 p.m. for regular business. Frisco RoughRiders: 7:05 pm at Dr Pepper Ballpark. Frisco RoughRiders v. Corpus Christi Hooks. WEB Lunch: 11:30 am – 1:00 pm in the Dancer room at Hall Park. Women Enhancing Business present their monthly lunch series. April’s topic: How Corporate Social Responsibility Can Build a Brand a Culture. Featuring: Whitney Faulkner of the Dallas Cowboys Football Club. Focus on Frisco Lunch: 11:30 am – 1:00 pm at Grace Church Frisco. Join the Frisco Young Professionals (Ages 21 – 40) with special guest speaker, Mayor Jeff Cheney! The Mayor will be there to discuss the upcoming bond elections and answer any questions you may have. Come network, lunch and learn! Register in advance. Inspire Frisco: 4:30 pm at Inspire Park, 6170 Research Rd, Frisco, 75033. Don’t miss the March IF TALK with Laura Beard, Founder and CEO of Sasta. With her expertise in event production, event management, training and retaining excellent help she is leveraging technology to make the hospitality industry better for everyone involved. Who’s Who of Frisco: 4:30 pm – 7:30 pm at 25N Coworking Frisco. Join established and emerging Frisco professionals to connect to celebrate the Grand Opening/Ribbon-Cutting of 25N Coworking. Tour the space, and stay to enjoy live music, delicious local food and refreshments, and other surprise appearances. Artist Showcase – Jeremy Lock: 6:00 pm – 8:00 pm at the Lincoln Experience Center. Get an exclusive first look at an all-new gallery of work from seven-time Military Photographer of the Year, Jeremy Lock — a visually stunning trek through India. Enjoy light bites and select drinks. Guests must be 21 years of age or older. Coffee with the Mayor: 8:00 am – 9:00 am at City Hall, 5th floor, 6101 Frisco Square Blvd. Topic: Informational Presentation on the 2019 Bond Proposal and City Charter Propositions. Guest Speakers: Jared Walker – Citizen Bond Committee; Karen Cunningham – Charter Review Commission. Texas Big Star Half Marathon and 5K: Hosted by Collin College’s Preston Ridge Campus in Frisco, the first and only endurance race in Frisco, Texas is BACK! Lifestyle Frisco is proud to be a sponsor of the Texas Big Star! Roll With the Council: 1:00 pm – 3:00 pm. Take a bike ride with your City of Frisco elected officials. Meet at Northeast Community Park for an 8.5 mile ride at a conversational pace. Meet in the parking lot by the park pavilion. UPDATE: This event has been rescheduled for April 28. Dave and Buster’s Breakfast with Easter Bunny: 8:00 am – 11:00 am. Hightail it to Dave and Buster’s for a morning of fun including a breakfast buffet, $10 power card, video game play, and more. Ticket must be purchased through Eventbrite, D&B will not be selling tickets at the door. Every Life Matters Easter Egg Hunt for Dogs: 12:00 pm – 3.00 pm. Bring the family to join in the fun with face painting, prizes, treats for your pup(s) and pictures with Easter Bunny! A $10 donation (directly benefiting the rescue pups) gets you a ticket for the egg hunt! FC Dallas: 7:00 pm at Toyota Stadium. FC Dallas vs. Portland Timbers. Texas Tech Spring Football Game: 2:00 pm at The Ford Center. Tickets are on sale now. Easter Egg Hunt at Jungle Joes: 12.00 pm – 2:00 pm. Get ready for the biggest and best indoor egg hunt you’ve ever seen! They’re hiding eggs all over Jungle Joe’s with fun prizes. Also enjoy an arts and crafts project, plus a visit from the Easter Bunny! Texas Revolution: 1:00 pm at The Ford Center, the Texas Revolution vs. Amarillo Venom. 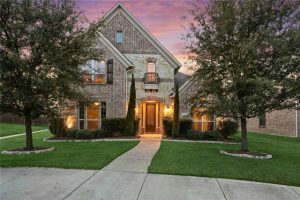 5918 Tascate Drive, Frisco, TX, 75036: Lrg corner lot with beautiful lake views. Perfect open floor plan features plantation shutters and wood flooring. Kitchen has island, granite, gas cooktop, ss appl, brkfst bar, walk in pantry and bulk closet. 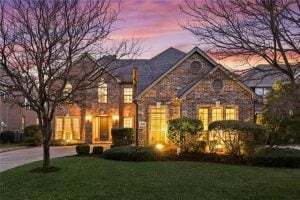 9801 Presthope Dr, Frisco, TX, 75035: PRIME FRISCO LOCATION! Desirable easy flowing floor plan for entertaining family and friends. Backyard is an absolute delight with fabulous pool, deck, and pergola. Large foyer entry with tile floors. 2639 Sleepy Hollow Dr, Frisco, TX, 75033: Beautiful golf course lot. Amazing views, backyard oasis with sparkling pool/spa. House features fresh paint/new carpet. Fabulous family room features wall of windows, 2 story high fireplace, and built-ins. Practical Fitness: Get Ready for Summer 8-Week Challenge! Get a 1 hour consult, 16 private sessions, weekly nutrition support, and more for only $400. Visit practfit.com or call 469-514-5733 now! Crafted: Tuesday, April 2 get $10 OFF of Ladies Night Rounds & Ovals Workshop! Join us at Frisco Uncorked 12-5 Saturday, April 6 for 15% off premade wood signs and $10 off workshops! Jungle Joe’s: Enjoy an Easter Egg Hunt and visit with the Easter Bunny on Sunday, April 14 from 12:00 pm – 2:00 pm. And, on weekdays from 2:00 pm to close, enjoy $2 off admission per child, plus BOGO 50% off meals at Joe’s Cafe. HeartStories GNO: May 2, 6:30 pm – 9:30 pm. Find your confident spring style at this fashion show designed to equip real women to navigate this season with ease, both in clothing in and life. 8th Annual Frisco StrEATS: May 11 in The Rail District. The longest running Annual Food Truck and Music Festival in Texas! Come and enjoy the best food trucks the area has to offer, amazing music acts, unique shopping experiences, kids activities, and more! Entry into the event is FREE. Lifestyle Frisco is proud to be a sponsor of Frisco StrEATS!